Talk of causality is all over the place in the so-called “special sciences,” i.e., everything other than fundamental physics (up to and including much of the rest of physics). In the latter field, seems to me that people just can’t make up their minds. I’ve read articles by physicists, and talked to a number of them, and they seem to divide in two camps: those who argue that of course causality is still crucial even at the fundamental level, including in quantum mechanics. And those who say that because quantum mechanical as well as relativistic equations are time symmetric, and the very idea of causality requires time asymmetry (as in the causes preceding the effects), then causality “plays no role” at that level. Both camps have some good reasons on their side. It is true that the most basic equations in physics are time symmetric, so that causality doesn’t enter into them. I wonder who could be silly enuf to be in the latter camp, besides Sean M. Carroll. 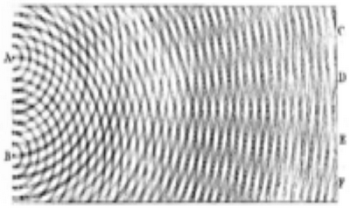 Ordinary classical wave equations, like those for water or sound waves, are usually time symmetric. Understanding such waves certainly requires causality. Pick up any textbook on waves, and causality is considered all over the place. How could any physicist say that causality plays no role in phenomena described by wave equations?! How could any philosopher believe such nonsense? For instance, Brad Skow adopts the “block universe” concept arising from Special Relativity and concludes that time doesn’t “pass” in the sense of flowing; rather, “time is part of the uniform larger fabric of the universe, not something moving around inside it.” If this is correct, than “events do not sail past us and vanish forever; they just exist in different parts of spacetime … the only experiences I’m having are the ones I’m having now in this room. The experiences you had a year ago or 10 years ago are still just as real [Skow asserts], they’re just ‘inaccessible’ because you are now in a different part of spacetime. The concepts of time as flowing or not flowing go back to the ancient Greeks, I believe, and have nothing to do with relativity. You can believe that time is part of the larger fabric of the universe whether you believe in relativity or not. Some descriptions special relativity use the concept of a block universe, but you can use the same concept to describe pre-relativity physics or any other physics. Either way, time is a parameter in the equations and you can think of it as flowing or not. Reasonable ppl can disagree with some of my opinions on this blog, but I do not see how anyone with an understanding of freshman physics can say such nonsense. Have these ppl never solved a physics problem involving waves? If so, how did they do it without considering causality? Where did they get the idea that wave equations and relativity contradict causality? The opposite is closer to the truth, as causality is crucial to just about everything with waves and relativity. Prior to quantum physics, causes equalled forces. That’s it. Newton’s laws. If something changes its trajectory, it is because a force is applied. The force is the “cause” of change. All changes are due to forces. Or am I missing something? I don’t think you need to deal with conservation of energy, etc. Quantum mechanics changes all this, as you note, and some physicists don’t believe forces, as we think about them, exist, they are only there to get equations to work. (it’s all fields, etc). No, this is more nonsense. A field is just a force on a test particle. 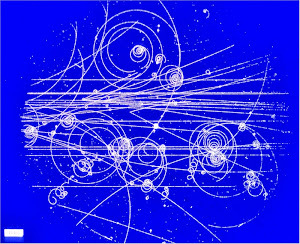 It is true that they are not directly observable in quantum mechanics, but that has no bearing on causality. All of these arguments about causality are more or less the same whether considering classical or quantum mechanics.